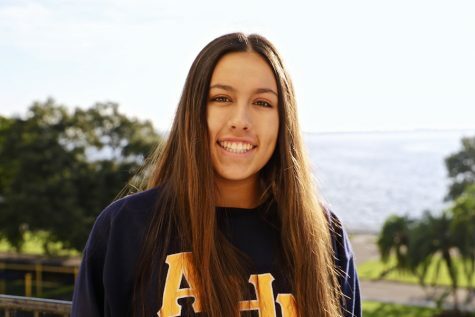 Danielle Duarte is Achona’s junior staff writer and Academy junior. This is her first year on the Achona staff. Her favorite activities in school, are Swim, Ambassadors, Key Club, and Best Buddies. She also enjoys shopping and hanging out with friends in her free time. You can find her lifeguarding on the weekends and volunteering. She has a sister, Isabella, who is sophomore at Academy, and a brother who is in third grade. She has been on the AHN’s swim team for three years, and has been swimming since she was five years old. Her favorite subjects at school are English and History. She has a goldendoodle, names Messi, who is a big part of her family. Her passions include listening to music, spending time with friends and family, and traveling around the world.